I've spent a great deal of time on this blog, in classrooms, studios, lecture halls, and many other places advocating for the rights of creative professionals. I've engaged in respectful disagreements over the extent of those rights in courtrooms and at cocktail parties. But until last weekend, I have never witnessed a professional businessman stand up in front of an audience (who paid a great deal of money to see him) and encourage those in attendance to use the creative work of others without permission, compensation, or even credit. I was dumbfounded and offended. When the words came out of his mouth, he looked right at me, laughed even, knowing what I do for a living -- knowing that it is my mission to educate artists and writers about their rights and how to enforce them so they can profit from their work. I want to share something that has been bothering me since Sunday. I don’t think you’re going to be surprised at what it is. I was extremely troubled when you stood up in front of a room of 50 people and advised them to steal the creative work of others in order to make their own. At the end of June, my husband and I took a trip to Seattle. While we were wandering through the downtown commercial district, we saw a security guard physically assault a homeless man pushing him to the ground in front of a crowd of onlookers while berating and screaming at him to leave the area. My husband and I did nothing. We stood mute in a mute crowd and let this bullying happen. We returned to our hotel and over a quiet glass of wine, we discussed what we had just seen and how it made us feel about ourselves – not living the values we believed we possessed. We decided that we would never let bullying happen again in our presence without standing up against it. On Sunday, I was not about to call you out on your more than questionable position in front of your audience. The feeling I had about myself as I sat there and said nothing brought back the specter of how I felt about myself in Seattle. I cannot sit silently while you use your leadership role to encourage disrespect of artists and the law. I must tell you exactly how I feel, hoping that you will change your practice. You are quickly becoming a leader in your industry, a viral industry. Your words spread more quickly than others and they have consequences. Quite frankly, I was rather astounded at the callousness you, as a creative professional, showed to other creative professionals by openly admitting copyright theft and parading your indifference to the rights and creative energies of others whose work you took and used. I was sitting directly in front of you and perhaps that made you just slightly uncomfortable when you explained that you would take images from Google regardless of source or ownership for the sake of expediency alone. You attempted to justify your act by claiming that you get your work stolen all the time and you do nothing about it. Because, you say, the value in your work is about the experience of learning from you. And while a pirate may take your offerings, they can’t take you. Well, the value of a visual artist’s, photographer’s, or graphic artist’s product is about visual impression – value that you inherently recognize when you take their work. But it is value that you don’t truly understand because you take it without permission or compensation, let alone credit. You said you won’t get caught in the act of intellectual-property thievery because your slide decks are behind a pay wall. Let me just say that at some point, you will get caught. Your slide decks have been pirated. They are not all behind pay walls. There will be, at some point in your future, a visual artist who has the wherewithal to monitor and enforce his rights in his work. Perhaps the consequences of being caught, say a $2500 settlement, is insignificant to you. But your students will get caught following your advice and methodology. And $2500 matters to them. You are in business. Acquiring creative assets for your product offerings or your marketing is the cost of doing business (unless you use creative commons or royalty-free images of which there are many sources). If you cannot afford to acquire creative assets legally in your business model, then perhaps the business model needs to be changed. You teach your strategies to hundreds of individuals. I implore you to teach legal acquisition of creative assets. Do not encourage your tribe to steal the creative work of others. It’s not just about the risk of getting caught, it’s about respect for other creative professionals and respect for the law. I'm working hard to change the paradigm. 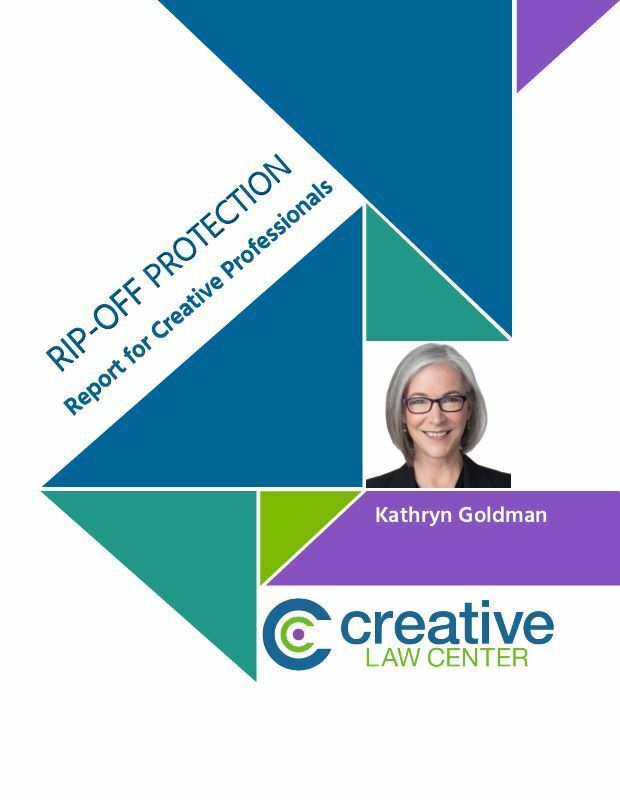 I'd like creative professionals to become advocates for the protection of their own work. I'm tired of hearing, "Nothing can be done about thievery" on one hand, and "Nobody's going to catch me if I take and use this" on the other. Your message from the front of the room was both. I have a responsibility to correct what I see as an abuse of your power as an industry leader. With this letter, I am honoring my responsibility not to remain silent. I believe that you have a responsibility to teach ethical and legal methodology. His response was respectful. He acknowledged that his reference to pulling images from Google and video from Youtube was incomplete, that in fact he pays many thousands of dollars for the creation of original visual assets. He discussed his knowledge of fair use and I agree that some use he makes of the creative work of others may be fair. But he went on to claim that he and his team use so many images in their presentations that it would be impossible to clear them all. That, I don't buy. If it's not fair use and you haven't cleared the work, you should not use it. It's that simple to me. Workload notwithstanding. Nothing was said about whether he would stop encouraging his students (who may or may not understand fair use) to rip creative work off of Google. In that, I am disappointed. I am an advocate for creative rights. I take these things personally. With my daily calendar less than crowded, I sometimes google “at random”. One of my favorite pastimes is to surf names of old friends and their siblings and offspring. I came across your blog about “advocating for artists rights” and I couldn’t help thinking about how proud Bill would be of not only your stand but how extremely well you articulate your thoughts. Thank you, Gene. I’m proud to be able to reflect my dad’s values. And I’m pleased that you find my written work reflects the many years I spent responding to the demands of his red editor’s pen. Thank you from the bottom of my heart. As I read the words of the leader, I shrank, wishing that I stood up too rather than watching ruffians doing whatever they want to with creative work and feeling that it’s okay if they don’t get caught. I applaud that you took the time to say what I would love to say to him, the leader you described. Recently, someone took some of my work for their website. It’s a miracle that I saw it. They said they thought it was okay to use it and offered to give me attribution. I asked for it to come down. It did. Really helpful article, Kathryn. I have so many friends who are photographers, artists and writers. And they all have horror stories of thievery. Your story will help me to step up rather than stand back if I see this happen to any creative, whether I know them or not. Thanks so much. Seems to be the season for hearing things that we cannot believe are coming out of people’s mouth! This speaker was indeed guilty of intentionally trying to erode common copyright law as it applies to artists, why else would he have said it? Our consumers of information and many creators of content these days have their own impression that if it’s on the internet then they can use it. But when leading professionals encourage taking what they want without regard to its source, it will take all of us who care to be diligent and speak up. Yesterday I rejected an ad that came to me with copyright watermarks all over a stock art image. Sadly, that’s how bad it can be! Thanks, and keep up the good work!! Thanks for speaking up, Kathryn. Whether we call a person out in private or publicly is a decision made in the moment. Whatever the decision, as long as we stand up for what is right, the decision was the correct one. As for the homeless man…that’s a difficult one. Bullying is never good, but in the back of our minds we are sometimes paralyzed because we feel we don’t know the entire scenario–ie: was the homeless man harassing people? Has he in the past come there to create chaos? And so forth. You learned a valuable lesson from what occurred, but don’t judge yourself too harshly. In my life, I, too, have been homeless. And, I have faced bullies. And I have faced people who didn’t understand why I wound up homeless. We all make mistakes and hopefully learn from them; we all do the best we can in life; that is all Creator asks of us. You have a good heart. Like me with my writing, you use your life experiences to grow into a better person. Thank you. I love getting hugs from you, Aya. Thank you Kathryn for sharing this incident and your thoughtful and forceful response. We can only hope that as brazen rip offs are repeatedly called out they will amend their practices. “Brazen” Great word. And you’re right, the more we call them out, the better we will get at it and the greater the chance that the brazen practices will be curtailed. I’m an (non-legal/cheerleader) advocate for creative rights. I, too, take these things personally! Writing (long) private letters to parties who so openly misconstrue copyright law or encourage infringing conduct is not useful. Instead, we need to take a stand and politely(!) call out speakers, then and there, in front of their audience and respectfully(!) offer a brief alternative perspective on why their position is incorrect and libelous. That’s when we have everyone’s attention and can make the most impact! Perhaps I should have spoken out at the moment. I didn’t. Next time I will have the presence of mind to speak publicly. Being vocal about your values in these situations takes practice. I’ve had years of practice in the courtroom and in negotiations. This one caught me off guard. A while back, a music attorney over-viewed copyright law at a local college. During the Q&A session, a creative asked if it was really necessary to register his copyrights. The attorney looked up, reflected for a few seconds, and said, “Well, probably not.” I about died when I heard his words! As in your situation, I was caught off-guard. I was debating with myself if I should say something or let the speaker’s audience take-way this terrible advice that they could begin circulating like the bogus Poor Man’s copyright. In the end, I was shy and chose to sit quietly and give deference to this attorney’s so-called expertise. Never again! Today I would raise my hand and politely(!) share my alternative perspectives on registering copyrights via one or two quick stories, and explain that a timely registered work is very much like an insurance policy that provides authors with presumptive proof, immediate standing & enforcement, LEVERAGE to pursue out-of-court settlements, etc. I would also share my personal copyright infringement settlement success story against a billion dollar media giant, and a story where a colleague skipped registering his photographs and was only able to settle for actual damages against a commercial infringer. Using real-life stories may help push our creative rights message when going up against contrarians. Leverage used for a positive end. Thank you. I’m so grateful for industry professionals like you who advocate artist rights! As a creative myself, I take it personal, too, always trying to give credit where it’s due. I sometimes worry I’ll get hoodwinked by people who don’t take the laws seriously… thinking I’m using an original image correctly and later finding out it was stolen. I’d hope the artist would approach me personally if I’ve ignorantly misused their work before taking legal action, because I try to do my due diligence to make sure the image is credited properly and is indeed free for me to use. In the case of what might appear to be innocent infringement, I always suggest the polite approach. 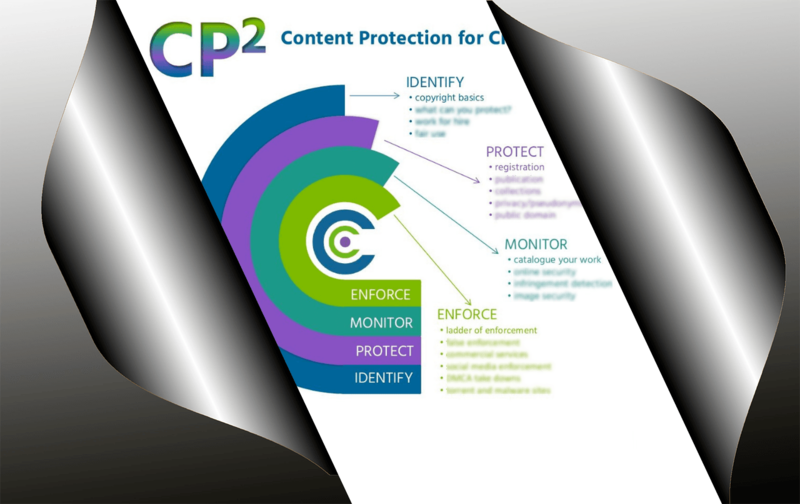 That’s the first step on the ladder of enforcement for any creative professional. Wonderful lessons in your post, Kathryn, and thank you for sharing them. #HighFive! I love your letter, Kathryn. It is nice to see someone stand up for what is right… we have way too many in this country who choose not to do that. We all wrestle with the decision to act honorably, and ethically. We often give-in to expediency or to ‘keep our heads down’ in the belief that we are protecting ourselves, our business, our reputation, etc. Corruption is not a natural or normal thought process… we have to make an active choice to go against our inner sense of ethical behavior and stand up for what we know to be right. That choice goes a long way in determining what kind of footprint we leave behind for others to follow. “Corruption is not natural . . . ” I agree completely. It’s a learned behavior. Thanks for you comment, Thom. I completely agree with you and applaud you for following-up with him. Even if it’s time-consuming, theft is never the answer. If he were in a hurry while in the store and didn’t have time to get through the checkout, would he shoplift? Lack of time is never an excuse for theft – which is what he does. Thank you for standing up for the artists and creatives in the world. If he didn’t have time to check out, he would have put the item down and left the store without it. I do not believe that because the item is creative work the outcome should be any different. In this very verbal and visual political year, I am reminded of a politician – when confronted – uses “talk” to simply cover mistakes and possibly true feelings. This so-called “professional” businessman who appears to have made a cavalier statement of disrespect to artists’ work, apparently brushed it aside with ‘talk’ simply because he was confronted. It’s hard to believe he made such a remark in the first place, if he truly respected the rights of others. I hope that my confrontation will cause him to rethink his methods and his teaching. Because he has such a broad reach, change in his teaching is more important than his personal practice. If I can only accomplish one end,that would be it.